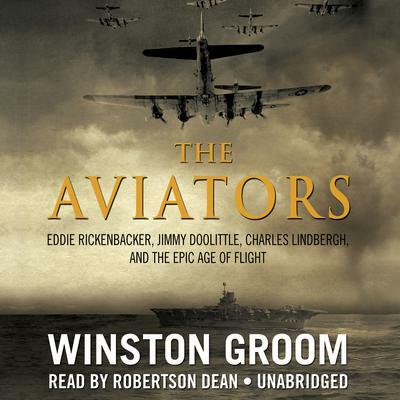 Gifted storyteller Winston Groom, the bestselling author of Forrest Gump, has written the fascinating story of three extraordinary heroes who defined aviation during the great age of flight: Charles Lindbergh, Eddie Rickenbacker, and Jimmy Doolittle. 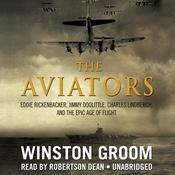 These cleverly interwoven tales of their heart-stopping adventures take us from the feats of World War I through the heroism of World War II and beyond, including daring military raids and survival at sea, and will appeal to fans of Unbroken, The Greatest Generation, and Flyboys. Winston Groom, a bestselling author, wrote the acclaimed Vietnam War novel Better Times Than These, the prizewinning As Summers Die, Gone the Sun, and Only. He coauthored Conversations with the Enemy, which was nominated for a 1984 Pulitzer Prize. His best known works are the #1 New York Times bestsellers Forrest Gump and Gumpisms: The Wit and Wisdom of Forrest Gump. The phenomenal hit film Forrest Gump garnered six Academy Awards, including Best Picture and Best Actor. 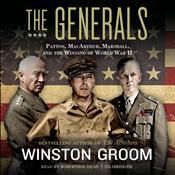 Groom is also the author of Shrouds of Glory, an account of Confederate General John Bell Hood’s decisive actions in the lost great campaign of the Civil War. He lives in Point Clear, Alabama.